Airship Ventures: On our way to LA! 8:25am departure for Long Beach. 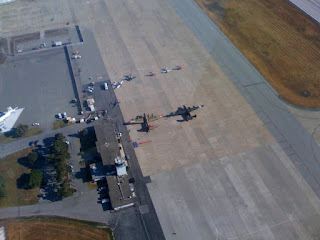 B17, B24, P51 and other warbirds of the Collings Foundation below.